Thickest, softest, most plush towel we carry. Over 3x thicker than regular microfiber towels. This is by far the thickest, softest and plushest microfiber towel you have ever seen or felt. A typical microfiber towel weighs about 0.8 to 1.8 ounces, while the reTHICKulous microfiber towel weighs a gigantic 5 ounces! When you fold this towel in fourths it measures nearly two inches thick. 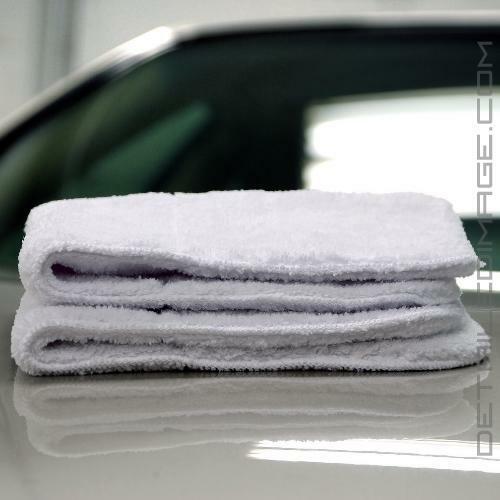 This multi-layered towel uses longer and plusher strands to give you the softest and safest towel in detailing. The special microfiber threads allow this towel to safely lift and collect particles for fast and efficient cleanings. 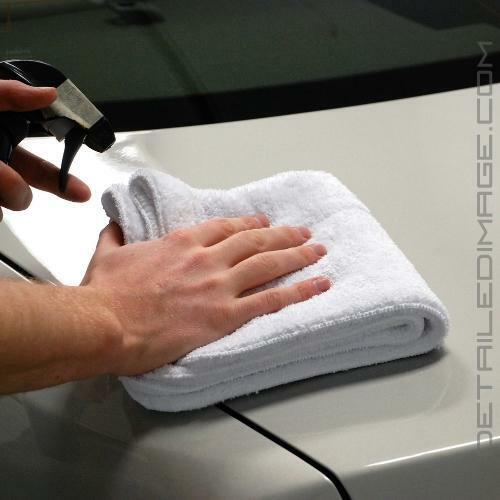 Use the reTHICKulous towel on your most delicate surfaces like your vehicle's paint, DVD & navigation screens, coated hardwood, etc. The extra thickness of this towel helps it delicately remove excess glaze, sealant, wax and quick detailers from your painted surfaces. We also recommend using them around the home to clean lap tops, TVs screens, fine china, crystal and other surfaces that you don't want to add micro-scratches to. This extraordinary towel is perfect for anyone who loves to spoil their vehicle with the best microfiber towel in the industry. Try the reTHICKulous microfiber towel today to see the pinnacle of microfiber technology. This towel really is reTHICKulous! I find it great for any task where residue removal is necessary. Whether it's polish, wax, glaze, etc, it easily picks up residue without getting saturated too quickly. These towels are reTHICKulous! Whole lot of towel in a small area, that's for sure. Very absorbent, very soft, and very deep pile able to hold a lot of material and dirt need be. I bought these to buff off products and dust my car off after sitting in the garage for a couple days. Works well. I ordered 3, and was somewhat disappointed to find a seam stitch had been missed for about 3 inches on one of them, I fear the towel will deteriorate from this spot, unfortunately I didn't notice this until after I washed it once...this towel will be downgraded to wheel duty because of this, ah well. I know now to inspect new towels more closely. 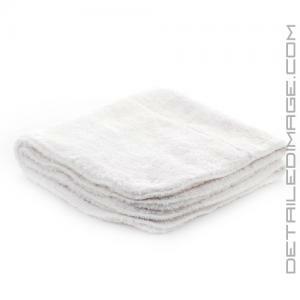 DI microfiber towels are great value. Excellent product. Very plush and great for removing wax or polish. Just received these yesterday. I washed them twice and they seem softer and more plush than when I unboxed them. Worked great for a quick detail this afternoon. In fact, I'm ordering more today.